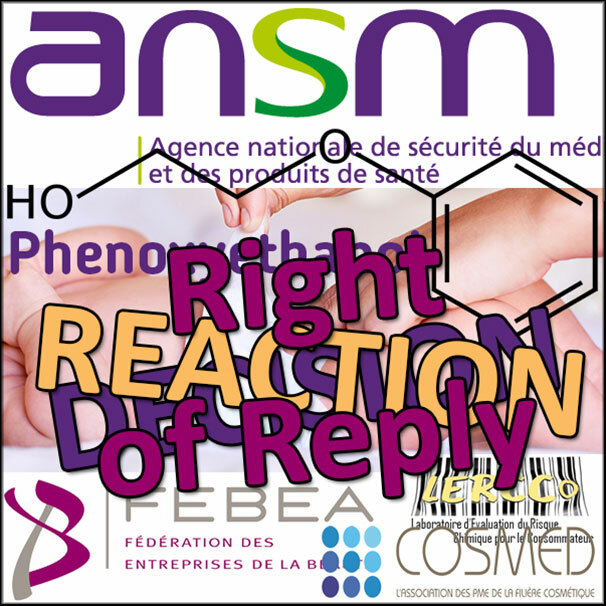 On March 27, following the ANSM Health Policy Decision on Phenoxyethanol, CosmeticOBS- published an article outlining the reaction of professional cosmetic organizations and their arguments to challenge it. One of them is the lack of relevance of the baby exposure data used by the ANSM to justify its decision. Professor Alain-Claude Roudot, Scientific Director of the study on cosmetic exposure of the French population from which these data were obtained, requested a right of reply. The study on the exposure of the French population to cosmetics was carried out at the LERCCo and funded by the ANSM (and for some parts by the Regional Council of Brittany). This study interviewed 22,978 people, making it the largest study ever conducted on the subject in the world, both in terms of the number of participants and the number of products evaluated (140). It is also the first to have provided real data for children and pregnant women. This study was scientifically validated by the publication of about ten articles in international scientific journals, after validation by international experts in the field. This study is also referenced in the SCCS “notes of guidance”. This study is therefore recognized today as the reference on the subject, which explains the dissemination of these results by COSMED since 2017. Concerning children, the frequency study covered 395 children (p. 652 of the final book available from COSMED). For headquarters products, 29% used washing water (114 children), 23% milk (92 children), 33% liniment (130 children), 26% moisturizer (103 children), 64% wipes (254 children): p. 634. With regard to quantities: 25 children were tested for washing water, 20 for cleansing milk, 56 for liniment, 33 for moisturizing cream and 70 for wipes.